Microsoft is planning on releasing major update soon and it is expected to come with a lot of improvements and also fix some of the current issues. 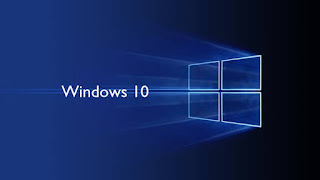 In a bid to make Windows 10 the best and most adapted operating system on the market, the tech giant has decided to add some more features to the upcoming windows 10 update. The latest update by Microsoft will be focused majorly on space management. Although the windows 10 operating system comes with a space management feature by default which allows users to free up more space by manually deleting temporary and unwanted files on regular basis, a lot of users actually ignores this feature. Since Microsoft is focusing on optimizing Windows management, the tech giant has decided to automate the process in the latest Windows 10 build. A new option will be added in the settings, which will automatically clean temporary files and also manage the available free space. Users will also have the ability to choose if they want windows to clean the disc space or not. Note that the traditional way of deleting temporary files and clearing the recycle bin will still be available. Microsoft is just adding an option to automate the process and also provide deeper integration with the windows 10.